I needed a set of flash cards that I could use to study Welsh. I wanted to enter my own vocabulary so I built it in MS Access. Here's how I did it. 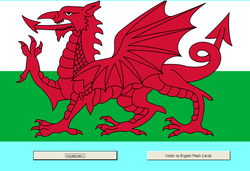 I’m studying Welsh and have found a great source for free online audio lessons. I downloaded them into my MP3 player and mumble along when I take the dogs for their walks. The instructor insists that students don’t write anything down, but I can’t always understand the word unless I see it at least once. Besides, I doubt that I will be speaking Welsh much. I am more likely to read or write it. I found some flash cards online for Welsh, but they use different vocabulary than the audio lessons I was listening to. I decided that I needed to create my own flash cards and to do that, I would use my MS Access 2002. 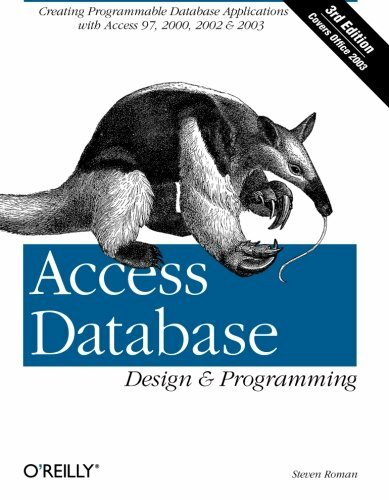 I’ll try to be as basic as I can with this little program but I’m assuming that the reader has used Access before and can do basic tasks like creating tables, forms, queries and adding buttons. If you need help, just send me a message and I'll create a tutorial for beginners. When you first open Access, you will want to create a new project. Select Blank Database on the right. You will then have to give it a name and save it. Next the dialog box will pop up so that you can create a table. I use the Design View for this. Don't forget to save as you go along. The field names are the names of the headings for your table. I named the first one “word.” Not terribly descriptive, but once you name it you don’t want to try to change it. I should have used “Welsh word” or something like that, but I know what it means so we’ll move on. I also made this indexed with no duplicates down in the lower section. That way, I don’t have to search and see if I already entered the Welsh word in the database. The program won’t allow me to duplicate words. This is the only field (other than auto number, but you won’t enter anything into that) that doesn’t allow duplicates. Next I put in “part of speech,” “pronounce” (a phonetic prompt to help me remember how the word is pronounced) and “meaning” which is the English translation. I added the ID with the autonumber function so that I could tell at a glance how many entries I have in the table. The “complete” field is set to “yes” or “no.” I will link that to a check box so that I can hide words that I already know. I will explain that further along. Before I made my flash cards, I wanted an easy way to enter my vocabulary. I created a form for this by going back to the main menu of my database and selecting Create Form Wizard.I gave it a name of "frmVocab" and I linked it to the table I just created. Then I selected all the items offered. I added a couple of buttons to make navigation easier. They are the built in buttons that you can create with the button wizard by just clicking the button tool and drawing the button where you want it. I arranged my text boxes and put in a background color and it's done. Now all my new words will be added to the table. To make it hidden, I selected the text box and then clicked on the funny square icon in the menu bar. That will open the Visual Basic program. I want the text box to be invisible when the form opens so I select "form" and "open" in the drop down boxes at the top. I will see these words at the top above the line. Now a click on the button and my translation appears. In the center I also added an unbound text box, meaning it isn't connected to anything on the table. I just put it there to type in my answers to check against the translation when it pops up. I don't always use it. Sometimes I just say the answer, but if I do use it, I need a way to clear it. You'll see that in the code for the button below. You can see that I added a button to keep track of how many correct answers I got. I could have made this automatic, comparing the answer field with the meaning field, but I thought it would be too easy to get it wrong by omitting something like the "to" in a word meaning "to speak." So I decided to just do it manually. I added another unbound text box and named it "correct." Again I added a button named "cmdcount" and closed the button wizard. I needed a code to count in increments of one. Counting can be difficult in Access but this one wasn't too hard. The last bit I wanted to add was a way to hide words that I had learned well enough that I didn't need to review them any longer. That little check box does that. Remember, in the table I had included a "yes/no" field called "complete." Now I was going to add a query and filter the results with this field. So, I built a query using the query wizard and included all the fields. I put "no" in the criteria box below. That means it will only return the records that do not have a check mark. Now I change my form to the control source "qryVocab." Every time I check that box, the program will hide that word. It's so easy. My flash cards have made learning so much fun. Now I need to build another set, using the same table to translate from English to Welsh. It will be easy since all the hard work is done. I can just copy a lot of the code I already have written with just some minor changes. There's a lot of more things you can do with this but this is a good start. I added a splash screen too just for fun. Glad to hear it. Sorry. I was away. Loved the instructions here, thank you. Did have one question though, how do you change the form to the control source? 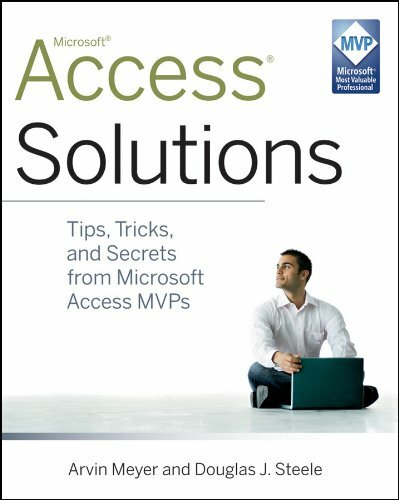 What I love about access is that you can do so many things with it! I never would have thought to use Access to do a project like this! You're welcome. Hope it is clear enough. Diolch. Let me know how they work. These look really useful. I'm going to create some of my own. Thanks!